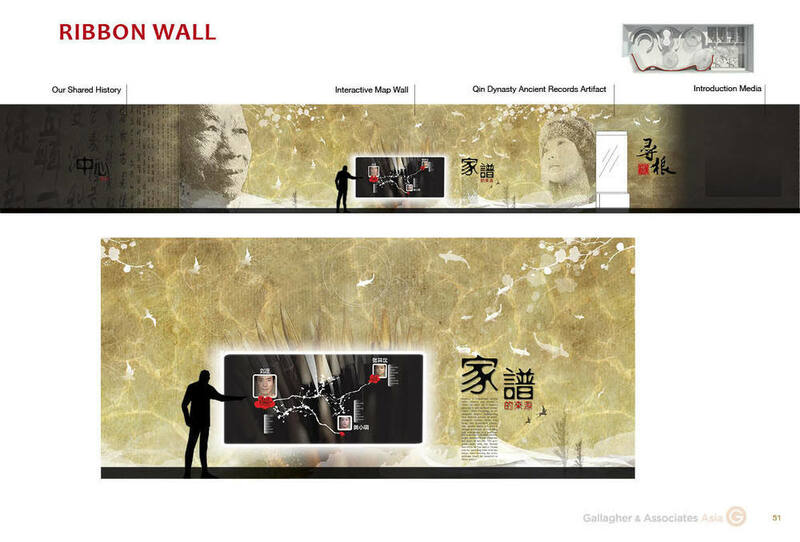 While working for Gallagher Design and Associates in Asia as a graphic designer for exhibitions, we designed a permanent exhibition in Beijing, which purpose was to for Chinese visitors to learn about their families through time, discover, organize, and preserve their ancestral heritage, and develop new ways of sharing family history, or Jiapu. Exhibits in the Center create interactive experiences that engage and motivate visitors to collect and share their family history, rediscover and connect multiple generations to their Jiapu, and foster national pride in China’s cultural heritage. Unfortunately, this project did not go further than the concept phase. Responsible for: Visual identity, exhibition graphic design, wayfinding.